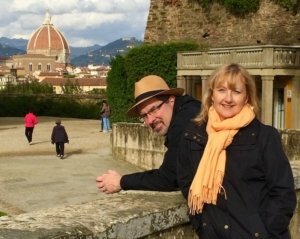 Book a Food or Coffee Tour on the Big Island. The underrated town of Hilo on the Big Island of Hawaii is one of our favorite spots. It was marked for resort development in the 1960s but never really took off, giving a small town vibe in this gateway to Hawaiʻi Volcanoes National Park. 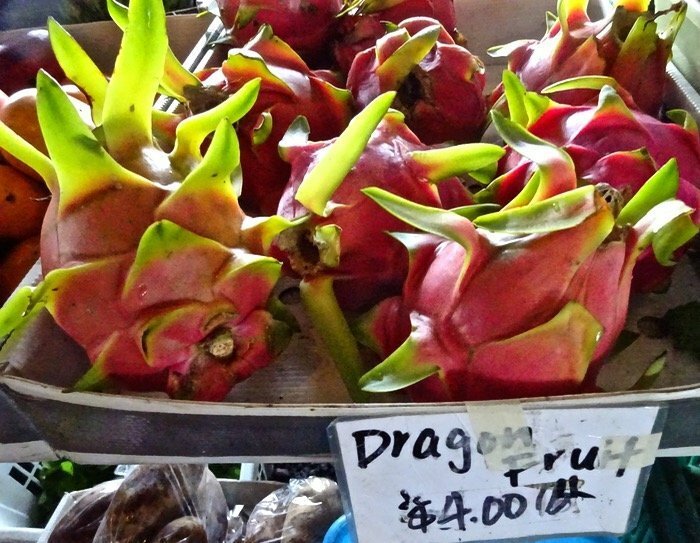 The Hilo Farmers Market is open seven days a week offering a variety of exotic produce, crafts, clothing and prepared food like King Laulau Poi and Mister D’s Grill Wagon (BBQ on a stick). The Hawaiian Vanilla Company on the Big Island of Hawaii is owned by Jim and Tracy Redekoff. After growing up on Oahu in a family “who can be traced back to grass shacks,” Jim and his family moved to this plot of land overlooking the turquoise waters of the Pacific to raise their kids on a farm. Guests tour the “Vanillery,” where the fussy flowers are coaxed into blooming (for a single day per year, and only four hours at that), a prelude to producing the long skinny bean that is one of the world’s most expensive spices. 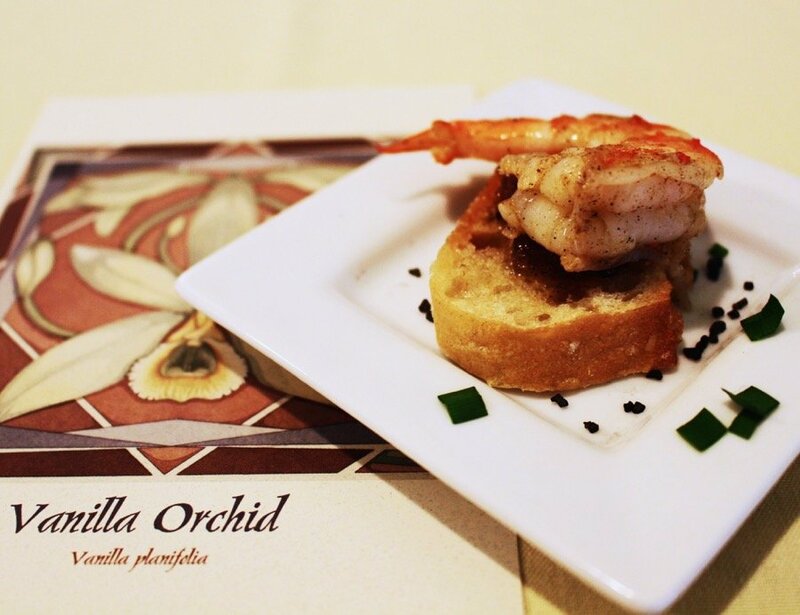 For full-on immersion, reserve a place at the “Vanilla Experience Luncheon,” where the tour and presentation are spiced up with a vanilla-inspired meal. 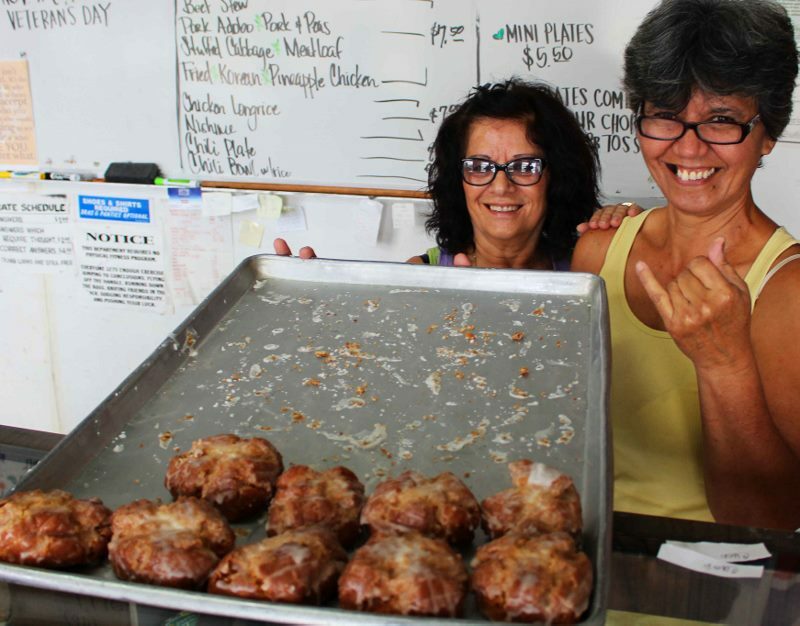 The buttermilk donut at Sputnik Ralf’s in Hilo made our list of the top dozen donuts in America for the Huffington Post. 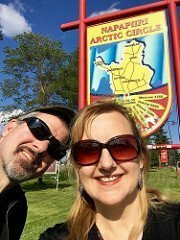 We miss them already. 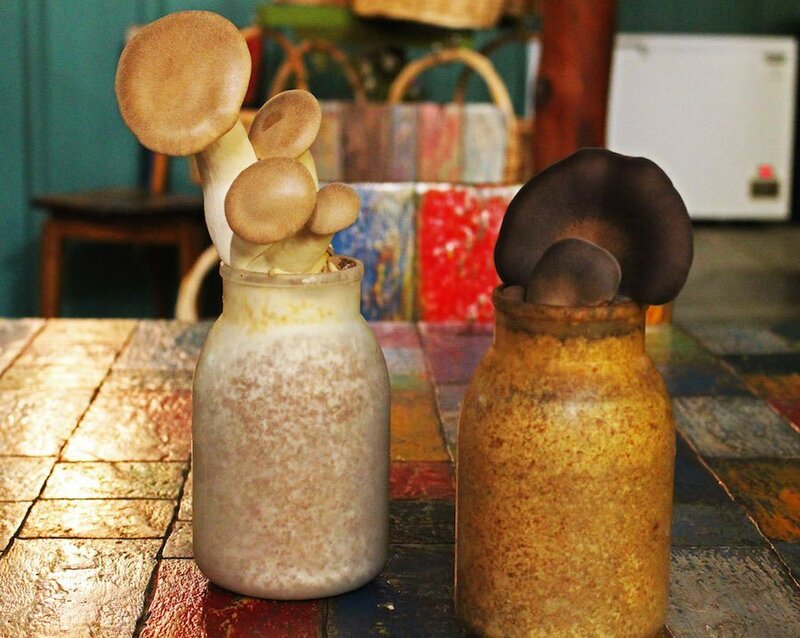 Jeanette Baysa, a former banker from San Francisco, moved to Hilo to open a café in 1992. 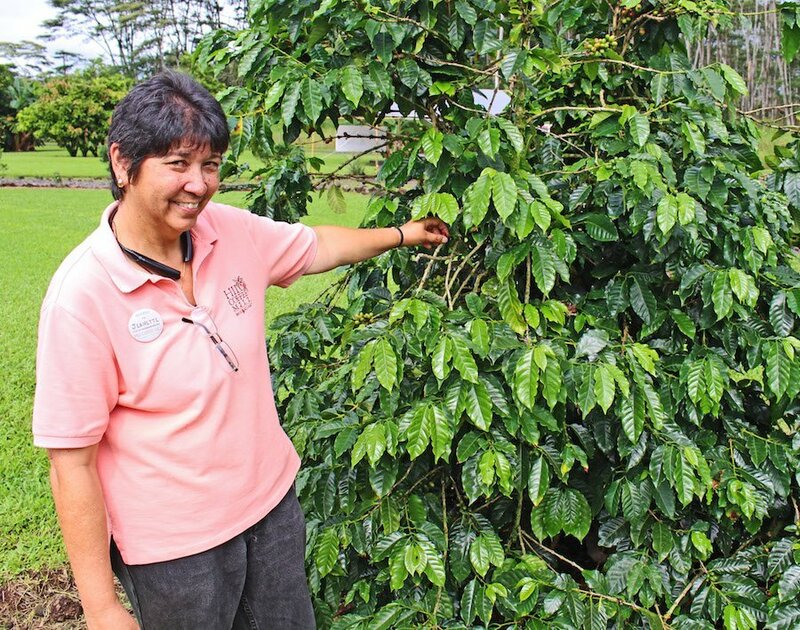 She couldn’t find Hawaiian coffee to serve; there was no one to roast the local beans so she undertook the task herself and opened the Hilo Coffee Mill on the eastern slope of the Big Island near Hawaii Volcanoes National Park. 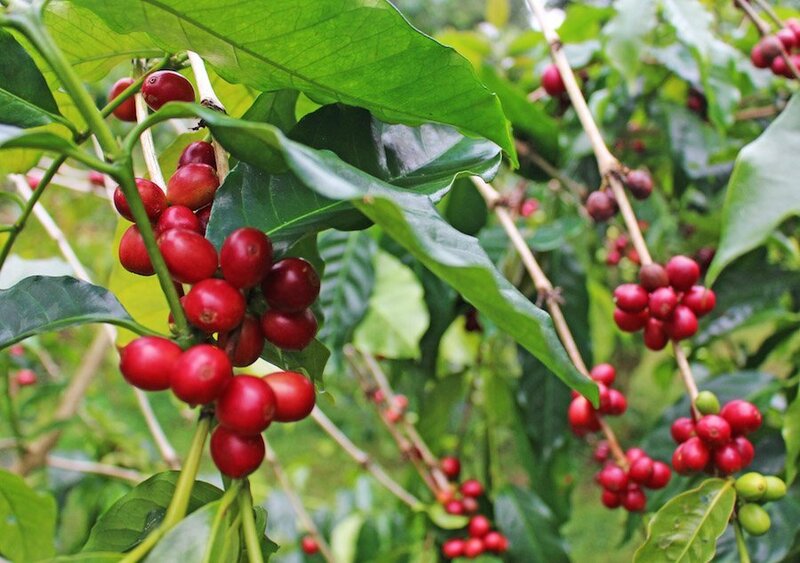 Jeanette promotes locally grown coffee from areas other than the well-known Kona. Visitors can sample local blends (including a quirky but surprisingly tasty pineapple coffee) and explore the 24-acre farm. Almost the entire harvest of alli, pioppini, gray oyster and abalone varieties are sold locally. The Stangas also offer other “fungal in the jungle” goodies; be sure to try some of their mushroom brownies (which we have to admit, sound like something that was gobbled up by dazed hippies at Woodstock). Una packs a lot into their five acres above the Kona Coast. 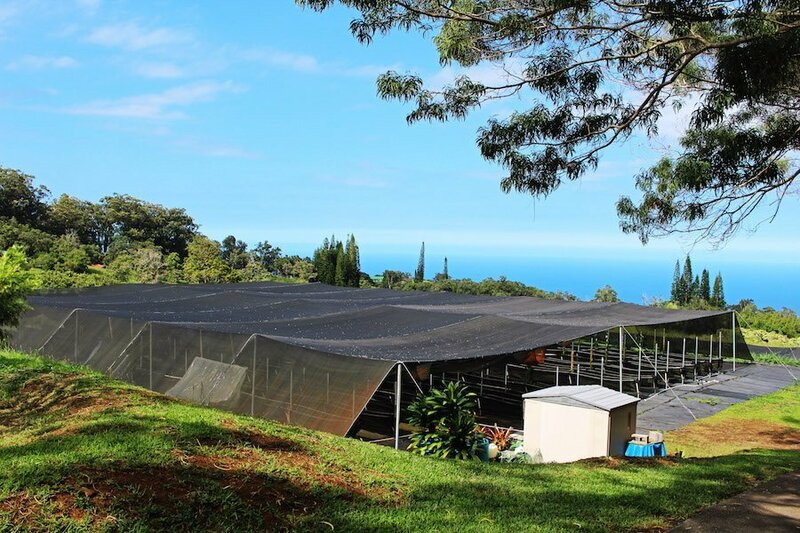 Call in advance to arrange a two-hour tour, where she shows off her 100-year-old coffee trees, avocados, cacao, bananas and whatever else happens to be fruiting or flowering and will brew up a pot of her “Old Kona Coffee” to taste along with house-made chocolate and macadamia butter. 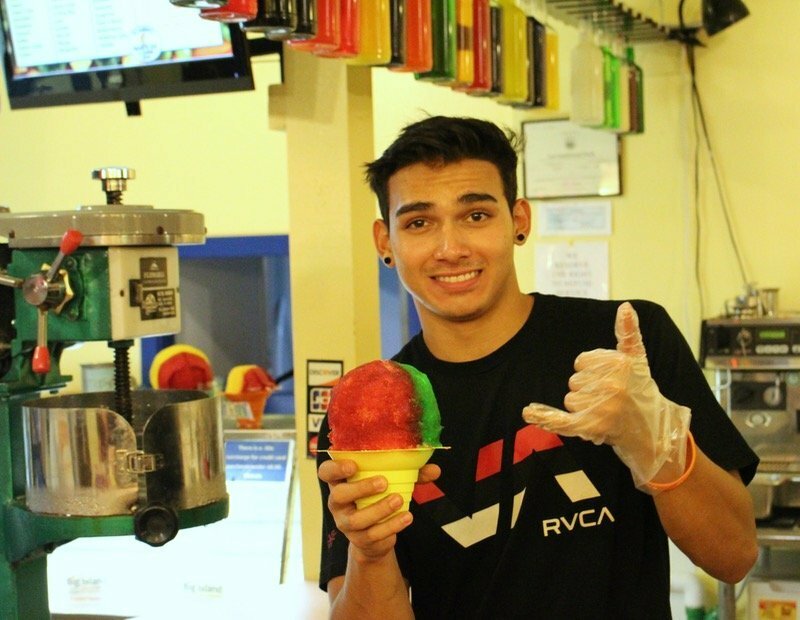 We’ve seen Hawaiian shave ice stands all over the world so were glad to finally try them in their native location. Quite frankly, any dessert that’s bigger than my head qualifies as a favorite. Mauna Kea Snow on the Hilo waterfront is a combination cafe/Hawaiian clothing store that cranks out delicious shaved ice. I have to admit I chickened out and this is a small. 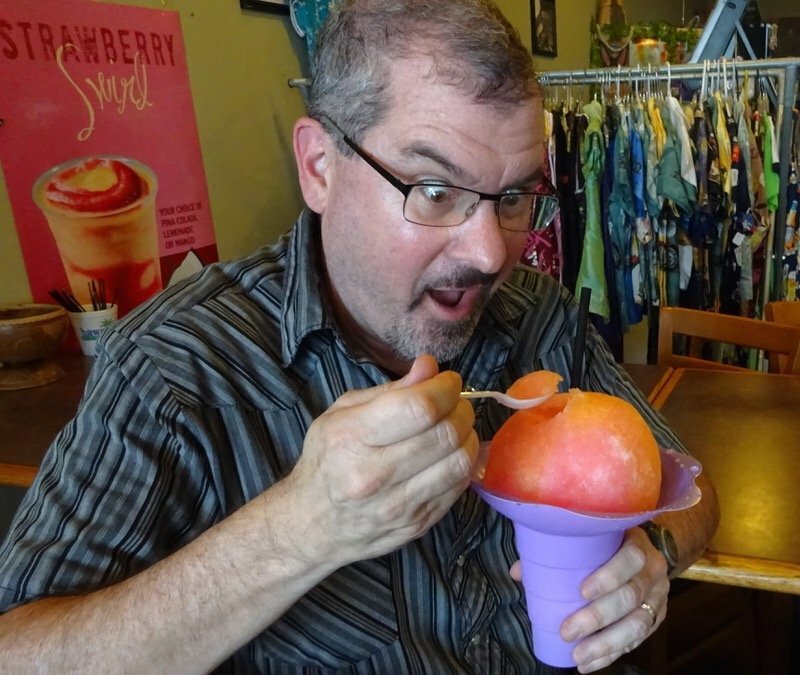 (Note: Even though the ice is shaved, it’s still called Hawaiian shave ice. Okay, I don’t quite get the name of this place in Kailua-Kona on the west coast; it does serve Hawaiian shave ice after all. Known by locals as Scandi’s, it’s been in business for over 20 years. Not only do they taste great, the workers put on quite a show in this happy place. Make sure to get sweetened condensed milk poured over it. 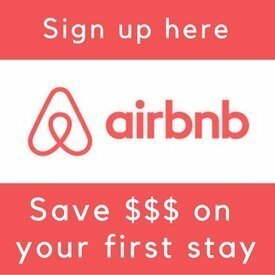 Click here to book a Food/Coffee Tour on the Big Island. We stayed at the Castle Hilo Hawaiian Hotel which has a cool retro 60s vibe. 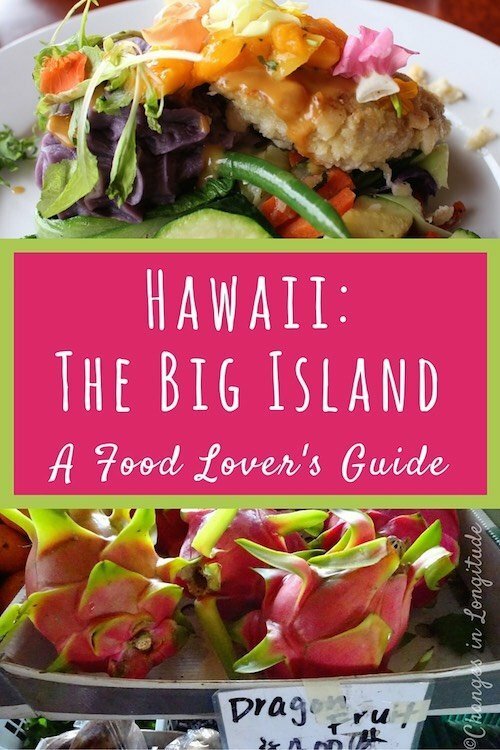 Also check out our food lover’s guide to Oahu. 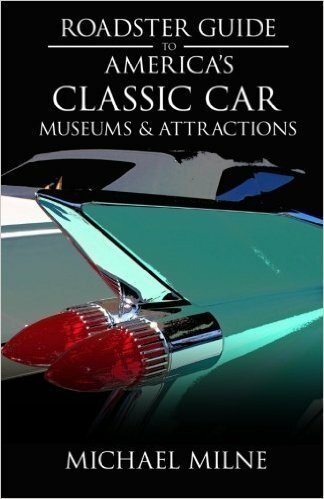 Read our favorite books about the Big Island of Hawaii.